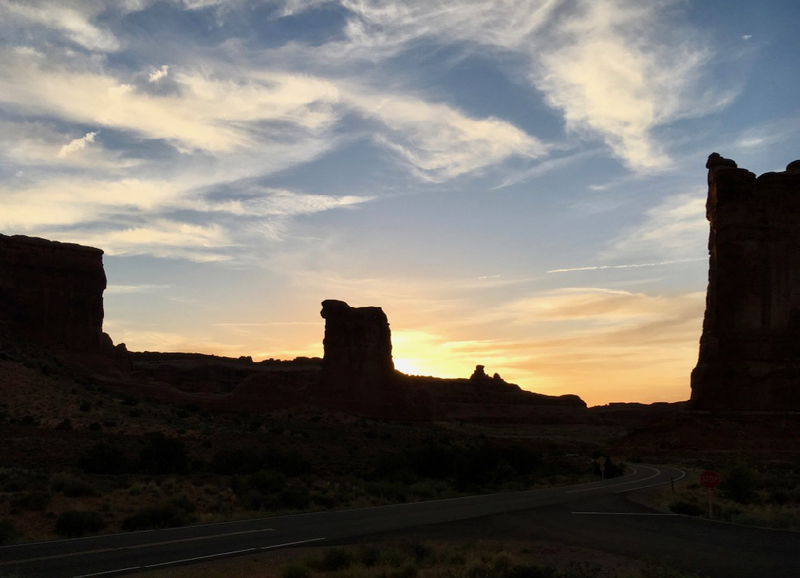 It’s hard to find a desert more beautiful and majestic, than Arches National Park located on the Colorado Plateau in Southern Utah’s Moab. 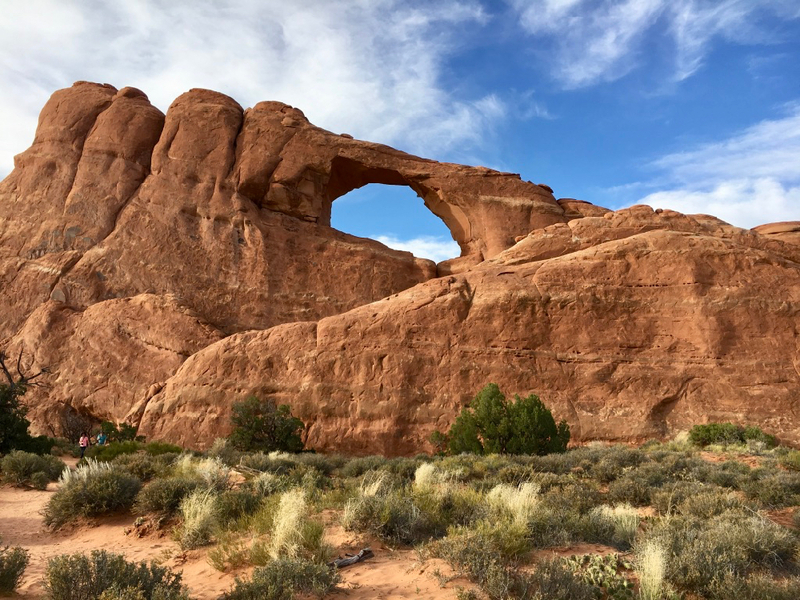 The park’s 76,679 acres has wide expanses of open red desert dotted with scrub brush and cacti which are occasionally interrupted with spectacular sandstone arches formed by millions of years of erosion. Hiking trails marked with cairns take visitors off the road to explore some of Arches most prized features in the high desert. 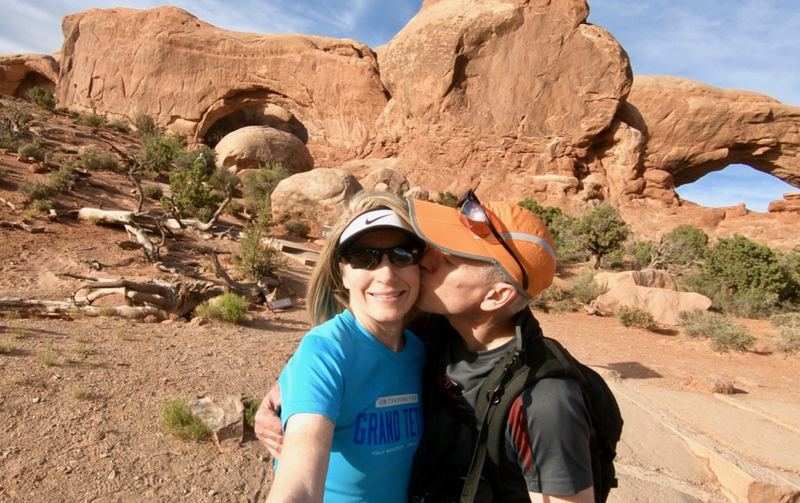 It had been almost 37 years since Bill and I had hiked in Arches National Park and we were very happy to finally return. We had a general vacation itinerary, but had not planned out the specifics of when we would hit each of the parks or how long we’d stay. We had definite sights we wanted to take in, but neither of us likes having a packed schedule while on vacation so we’d opted to pick and choose our way through the parks. Pulling into the entrance at Arches National Park we watched as cars and RV’s snaked their way up the steep switchbacks; all the while trying to remember the scene from many years ago. A very nice park ranger suggested he give us a refund for our Grand Teton National Park fee, explaining that it would be much more economical for us to buy a one-year National Park pass. Next up was Balanced Rock, another formation aptly named. Both Sheep Rock and Balanced Rock can easily be seen from the comfort of an automobile so they’re accessible to everyone. Top on our list was hiking to Delicate Arch, considered difficult by the trail guide due to it’s lack of shade and exposure to frighteningly steep drop-offs. The roundtrip hike was three miles along very scenic steep flat rock slopes, dirt trails, and patches of sand. 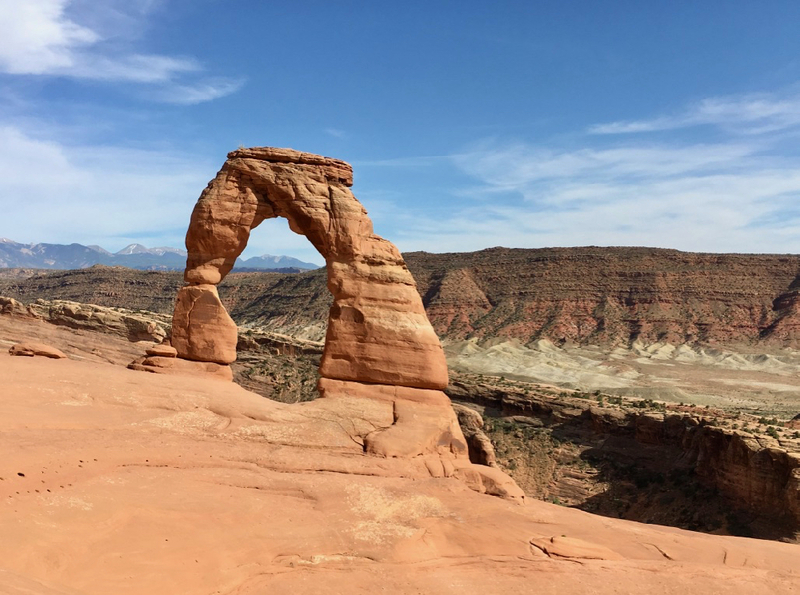 After traversing a scary winding rock ledge, we were rewarded with a magnificent view of Delicate Arch with both buttes and snow capped mountains in the distance. It was a perfect summer day with low humidity and temps in the upper 70’s; however, once we reached the highpoint the wind kicked into high gear and we were a little chilled. What goes up, must come down; and so on our return we had to once again walk past the steep drop-offs which had no protective rock walls or guardrails to keep us from careening down into the valley below if we misstepped. It was difficult to capture a picture showing just how steep the drop-off is, but as Bill said, “We left skin on the wall,” as we stuck to it, staying as far away from the cliff edge as possible. Once past the dangerous ledge, the hike was quite easy as we made our way back down the dirt paths and slickrock slope to our car and our next adventure. Next on our agenda was a very short hike to Turret Arch, North Window, and South Window. The relatively flat gravel and dirt trail made the hike quite easy. Despite there being about twenty ten to eleven year old boys roaming around, we managed to capture a few pictures without them being the background – not an easy feat. Even though we were both getting extremely hungry, we decided to stay in the park until dark so we could catch some sunset pictures. We drove back toward the entrance, stopping at Courthouse Towers Viewpoint. Bill set up his tripod and got ready for the show. He hasn’t processed his pictures, so everything in this post is either from my iPhone or my GoPro (affiliate link). 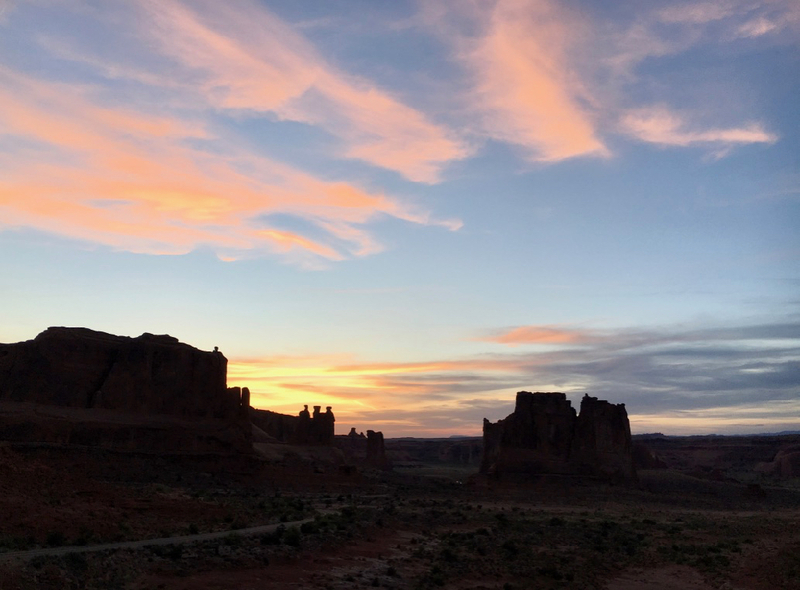 After a long day, we left the park just after sunset and as we drove into Moab, we marveled at how much it has changed since our visit 37 years earlier. It has changed from a simple little stop in the middle of the desert, to a bustling tourist town and hot spot for mountain bikers. We stopped for dinner before finally checking into our hotel after what had been a busy, scenic, and incredibly enjoyable day. We made our way back to Arches two days later for a hike to Landscape Arch, stopping at several overlooks along the way. 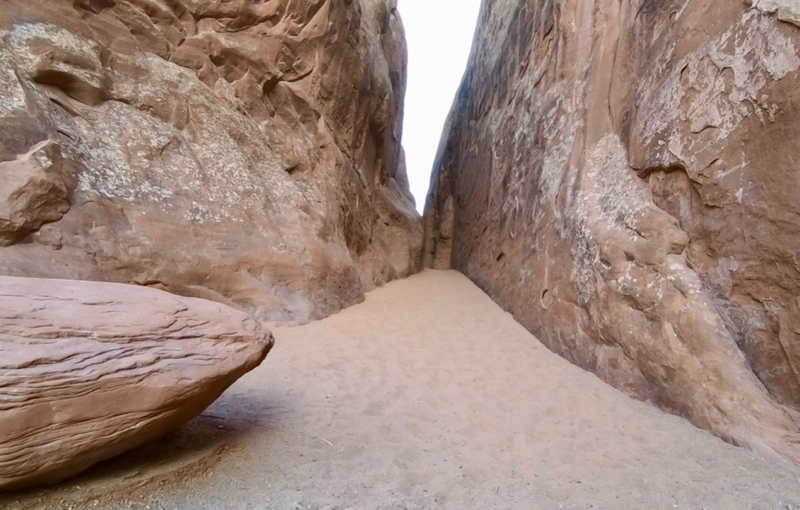 The 1.6-mile roundtrip hike was relatively easy until we got to deep sand near the arch. 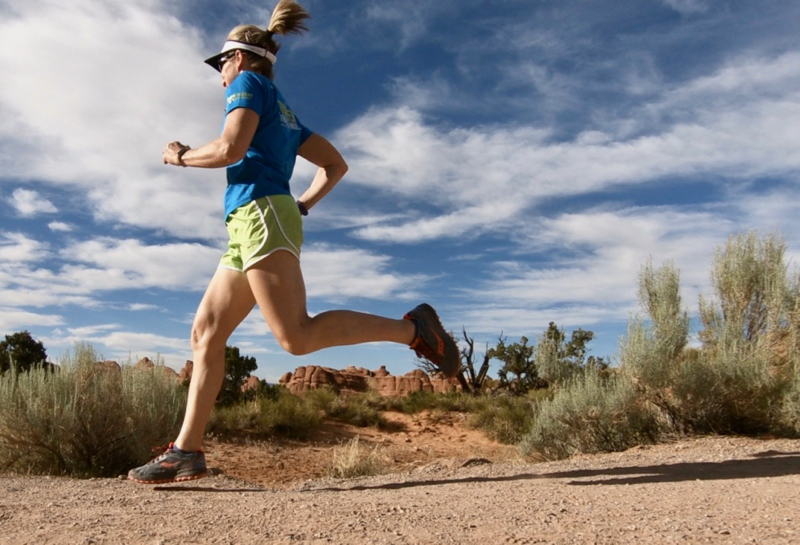 Not wanting to get sand in my shoes, I changed my gait to that of an awkward flat-footer, slowing my pace substantially while looking totally ridiculous. 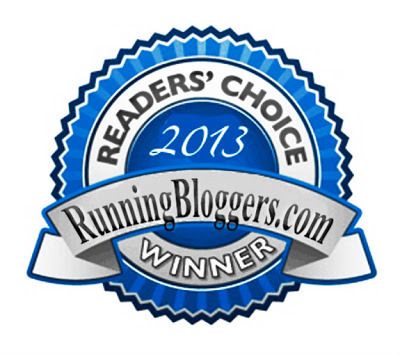 Once back on dirt and gravel, I threw in a little running as we made our way back toward the car! As we approached the trailhead near the parking lot I stopped long enough to snap a picture of these massive rocks with deep sand between them. 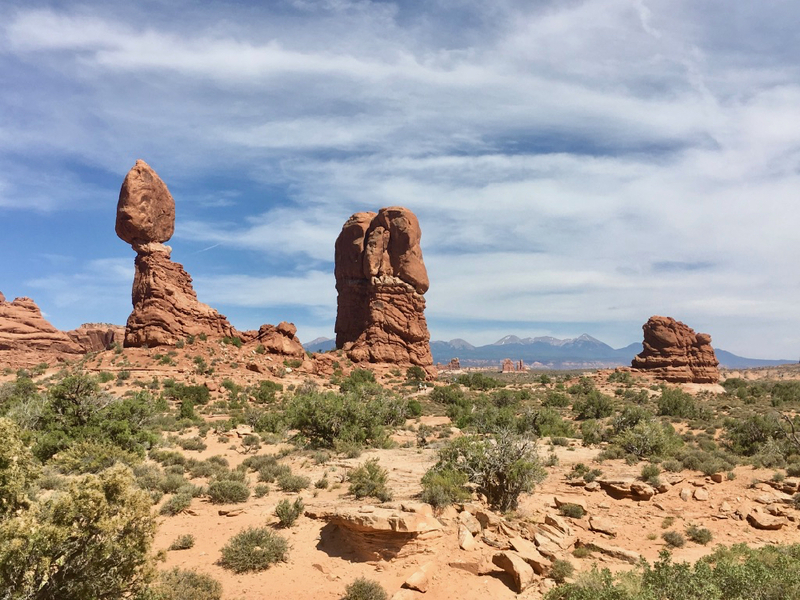 One of the beauties of Arches National Park is the wide variety of geological features. 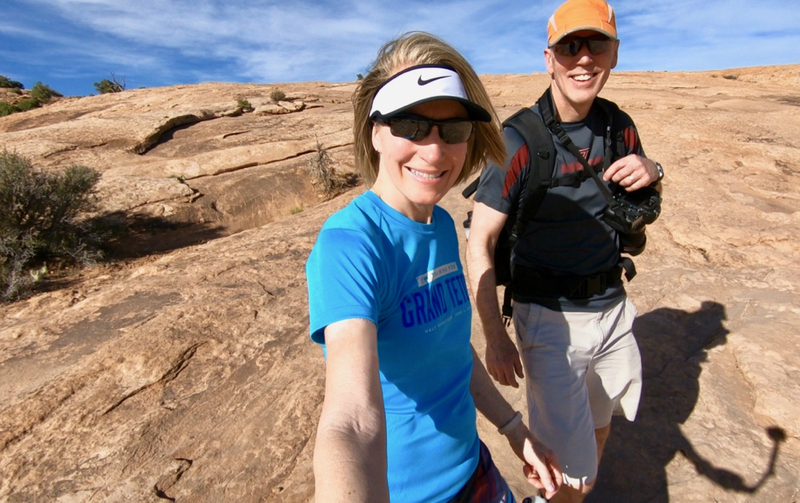 On our way out of the park, we decided to stop for one last quick hike to Skyline Arch which was an easy half-mile roundtrip. 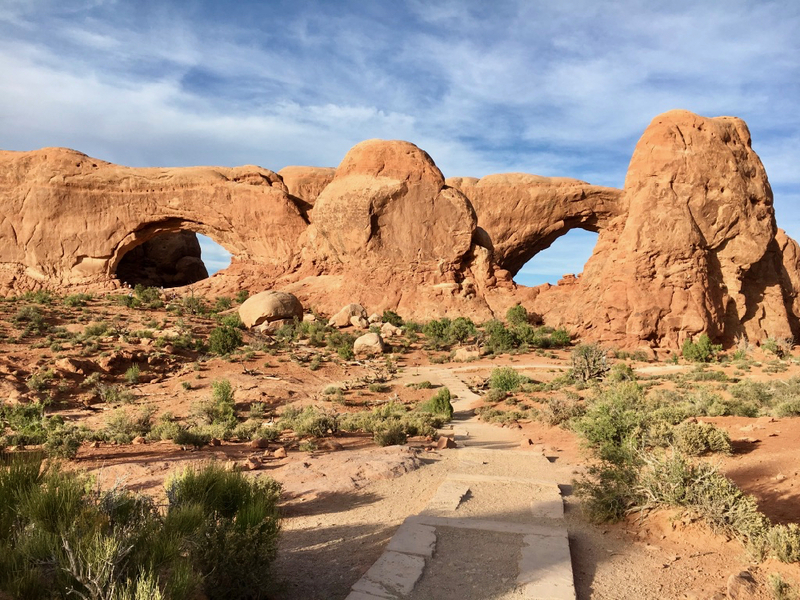 Since my first visit to Arches while on our honeymoon, it has stood out as one of my favorite national parks. 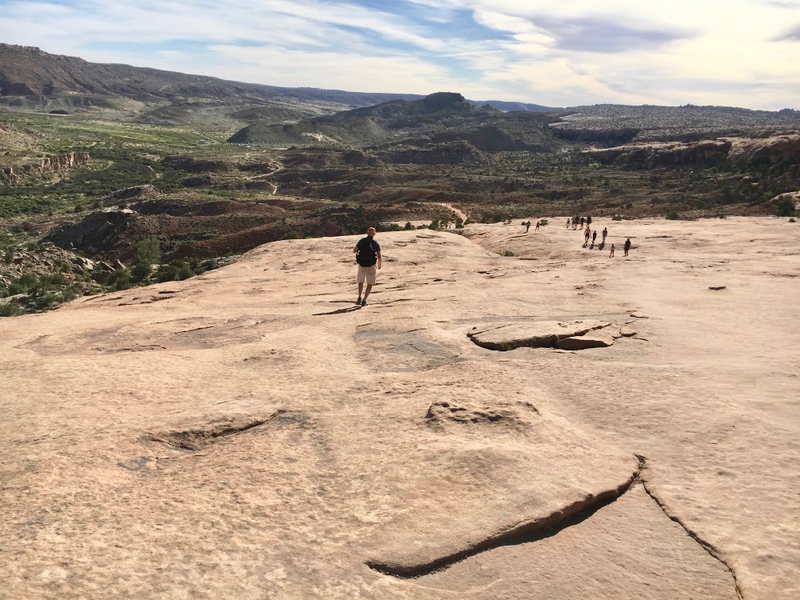 The red dust, scrubby desert brush, and wide open views add to the delight of seeing interestingly formed rock structures that have randomly withstood the power of erosion. 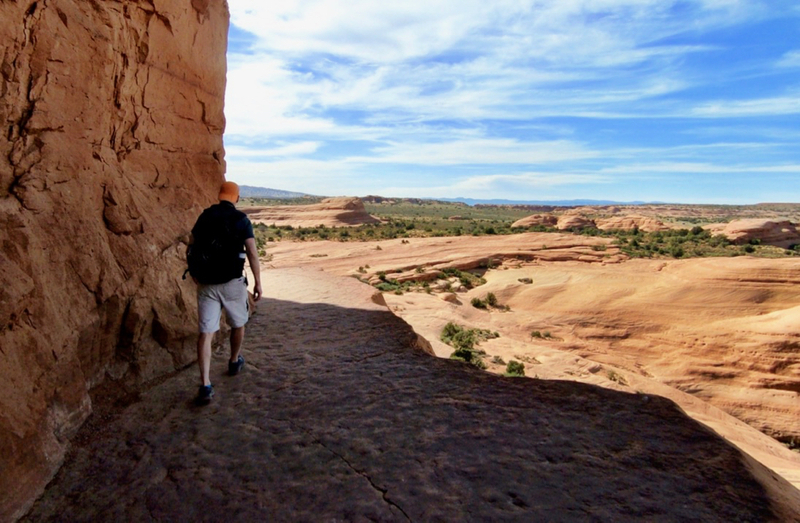 We’re already dreaming of another trip to Southern Utah. 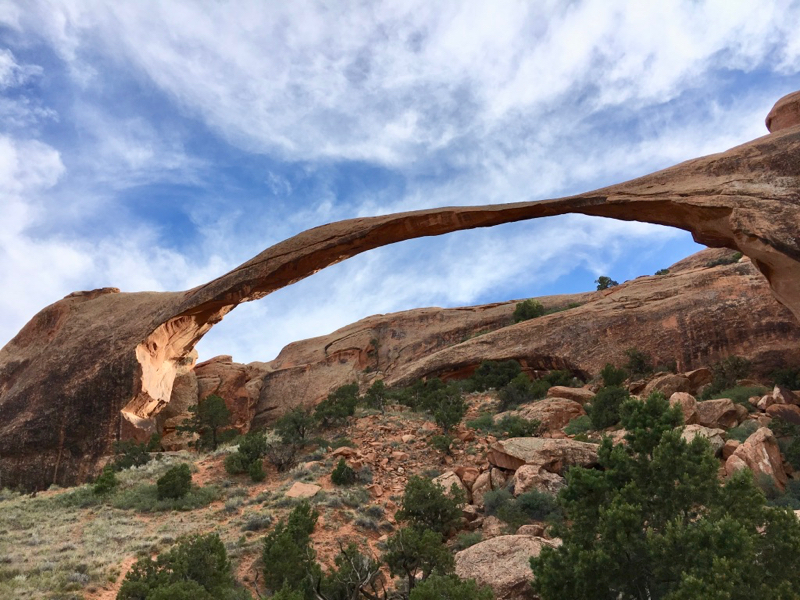 The big question is which of the Mighty Five National Parks will we visit next time – Arches, Canyonlands, Zion, Capitol Reef, or Bryce Canyon? We could visit all five, or like with this trip, pick two or three parks and spend more time in them. Whatever we decide, it will be fun planning our next adventure! 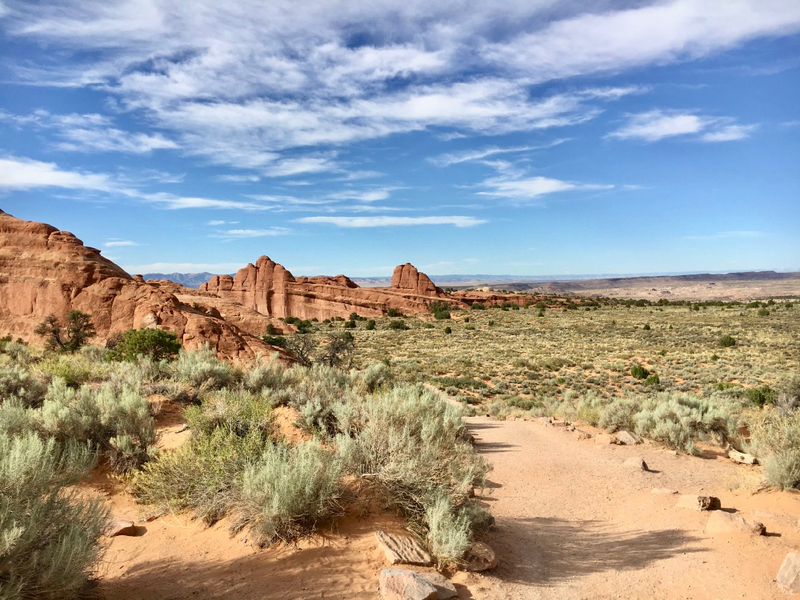 Have you visited Arches National Park? Would you rather do an active vacation or a spa-type vacation? Which is your favorite National Park? Do you have a National Park pass? Here’s a little bit of local trivia. Did you know that Rock Creek Park is a National Park? In fact it was created in 1890 by an act of congress and became the third park to become a national park (after Yellowstone and Sequoia). It’s beautiful there! I’ve never been, but it’s now on my list! Canyonlands is another National Park that’s gorgeous in a very different way, yet is an easy drive from Arches. Tomorrow I’ll be recapping our time there. 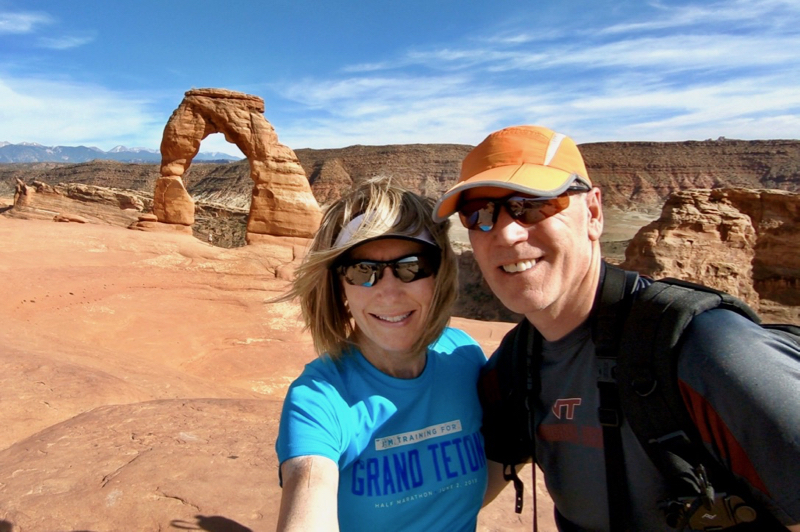 We’ve been to Arches several times as well as all five Utah NPs and a handful of state parks. The state is a hiker’s dream! Canyonlands is incredible, though it really deserves at least several full days because it’s so large and spread out. 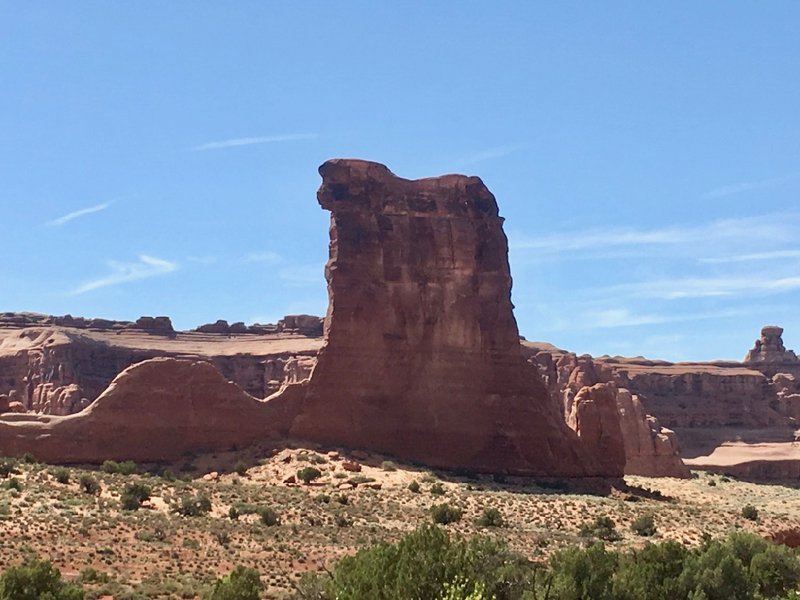 Island in the Sky is amazing, but I tell people they haven’t really experienced Canyonlands unless they venture into the Needles or Maze districts! Can’t wait to hear about your Canyonlands leg and wish you the best on all of your adventures! 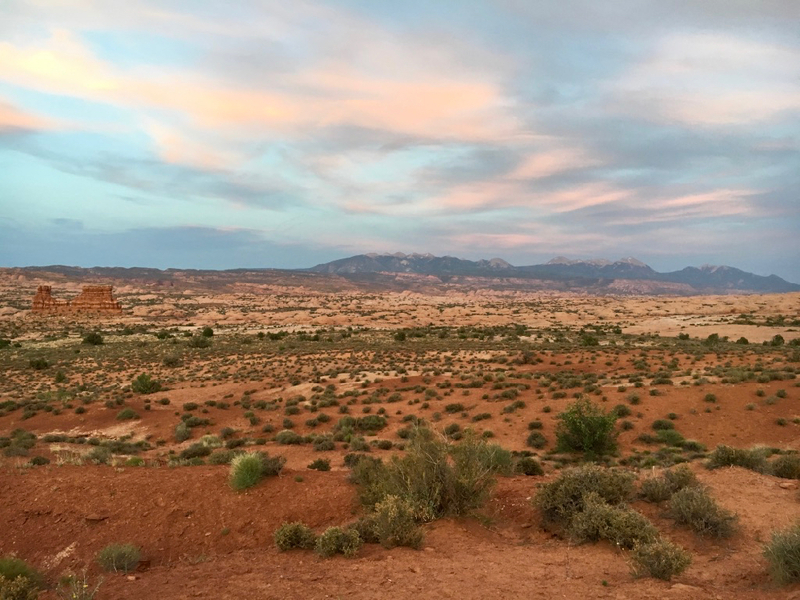 We’re hoping to go back in the next year or so to spend more time in just Southern Utah (we were spread thin by spending the first half of our vacation in Wyoming for the race). 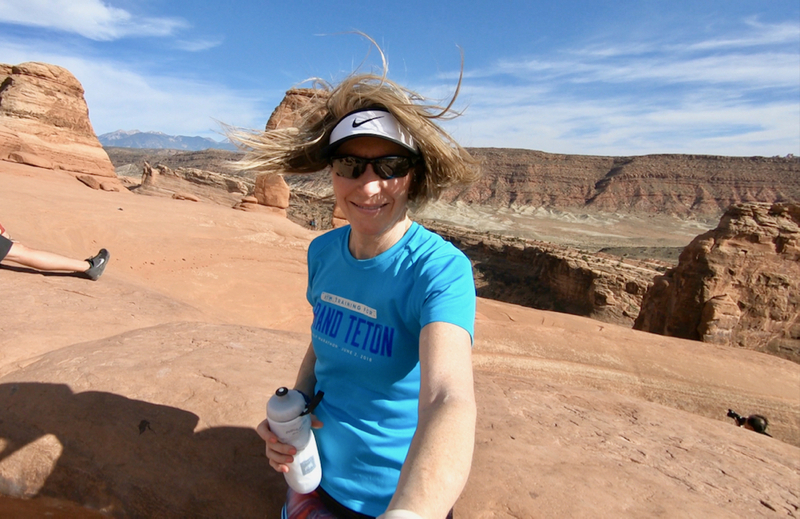 My Canyonlands recap is posted in case you’re interested. This trip we only made it to Island in the Sky so we definitely have a lot more exploring to do! There’s never enough time. Let me know if you want recommendations for your next trip! Also, did I tell you that we almost ran the same Wyoming race this summer? 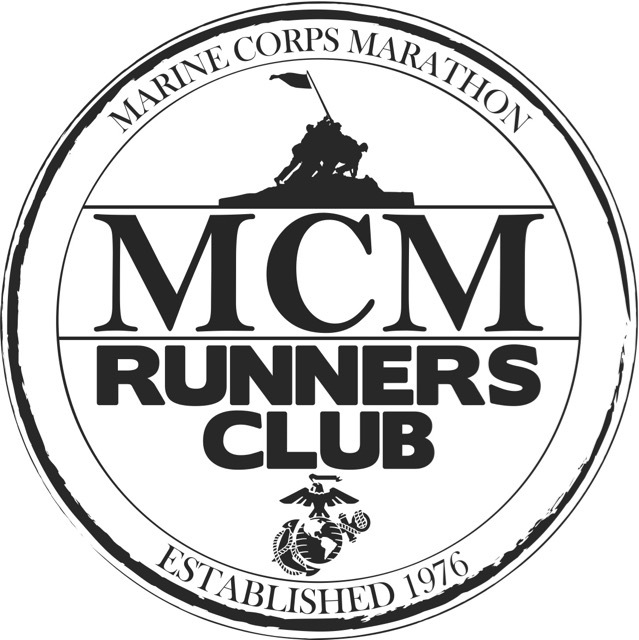 I considered doing the half at my 24-week mark but decided to run the Greenbrier Half in WV instead. We’ll probably go back to Wyoming next year. 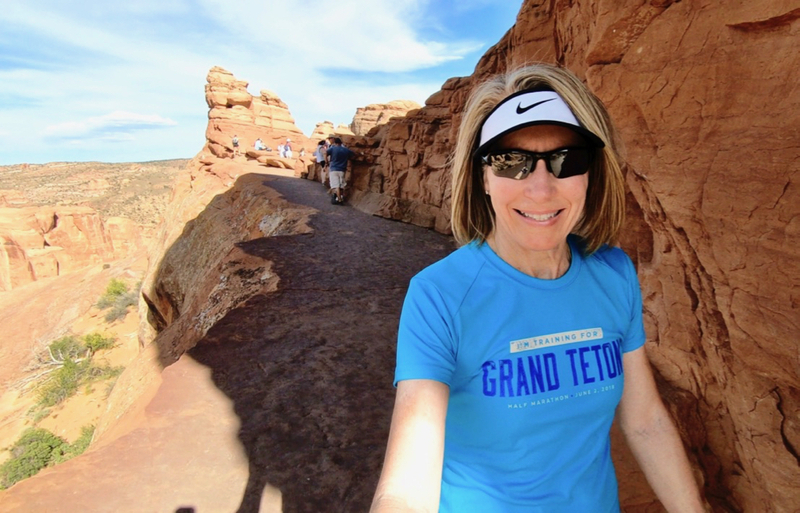 Awww bummer, that would have been so cool if you’d run the Grand Teton Half this year. If you run it next year, I hope they’ve repaired the bridge by then so they can return to their regular course. A bridge a mile from the finish line got washed out a week before the race so they had to reroute the course from a point-to-point to an out-and-back from the starting line. I’ve never been to Arches, but it is so beautiful! I’d love to visit someday. Great photos and you guys are so cute! Thanks, Debbie! 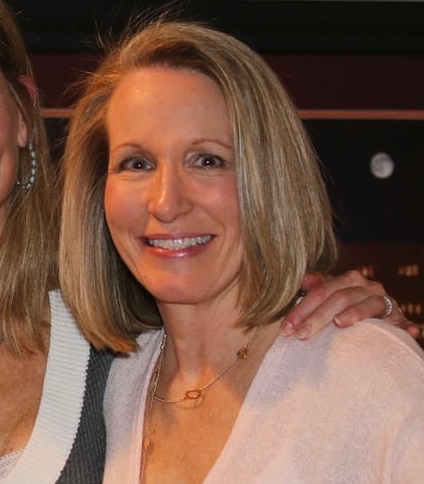 I think you and your husband would love it because you’re both so outdoorsy and active like us. I love Arches! Nearby Moab is a cute little town too. When you go to Bryce Canyon, make sure you see it at sunrise! Thanks, I will keep that in mind! We did not go at sunrise when we visited many years ago, but I know my husband will want to do that next time for sunrise pictures. 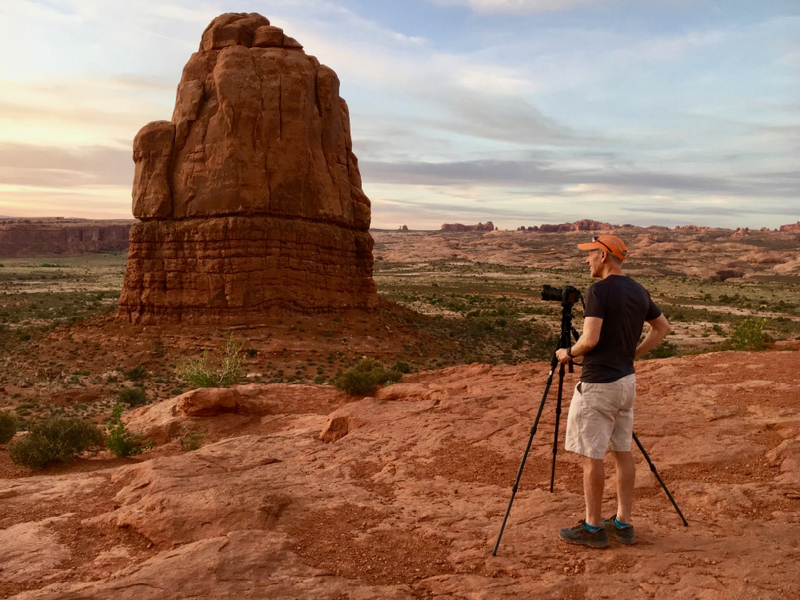 Uhhh @debruns, I am pretty sure we camped several days in Bryce, though I am not sure sunrise photography was part of my repertoire back then. Someday I am going to digitize all those old negatives.